Daniel Dennett believes our brains are machines, made of billions of tiny "robots" - our neurons, or brain cells. Here is what we learned about the human mind when he talked to Jim Al-Khalili on The Life Scientific. In 1965, the philosopher Hubert Dreyfus stated that humans would always beat computers at chess because machines lacked intuition. A few years later, Dreyfus rather embarrassingly found himself in checkmate against a computer. And in May 1997 the IBM computer Deep Blue defeated the world chess champion Garry Kasparov. Many philosophers still continued to believe that humans were uniquely intelligent. Chess, they argued, was a boringly logical game: computers didn’t need intuition to win. Dennett blames the philosopher René Descartes for permanently polluting our thinking about the human mind. Descartes couldn’t imagine how a machine could be capable of thinking, feeling and imagining. Such talents must be God-given, he thought. He was writing in the 17th century, when machines were made of levers and pulleys, not CPUs and RAM, so perhaps we can forgive him. Our brains are made of 100 billion neurons. If you were to count all the neurons in your brain at a rate of one a second, it would take more than 3,000 years. Our minds are made of molecular machines, aka brain cells. And if you find this depressing then you lack imagination, says Dennett. “Do you know the power of a machine made of a trillion moving parts?” he asks. “We’re not just robots”, he says. “We’re robots, made of robots, made of robots”. Our brain cells are robots that respond to chemical signals. The motor proteins they create are robots. And so it goes on. Consciousness is real. Of course it is. We experience it every day. But for Dennett, consciousness is no more real than the screen on your laptop or your phone. 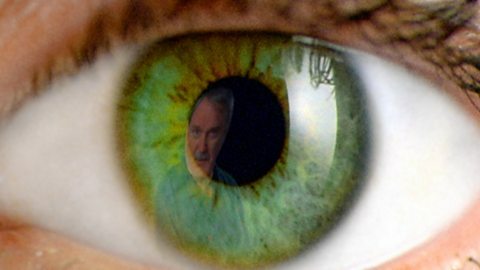 The engineers who make electronic devices call what we see on our screens the “user illusion”. It’s a bit patronising perhaps, but they have a point. Daniel Dennett on how consciousness can be explained by the biology of our brains. Pressing icons on our phones makes us feel in control. We feel in charge of the hardware inside. But what we do with our fingers on our phones is a small contribution to the phone’s total activity. And, of course, it tells us absolutely nothing about how they work. It feels real and important to us, but it just isn’t a very big deal. “The brain doesn’t have to understand how the brain works,” he says. We know we evolved from apes. We know we share 99% of our DNA with chimpanzees. We acknowledge that some of our behaviour is due to our animal nature (albeit generally not the aspects we are most proud of). But we like to think that our more special qualities – our intelligence, our insight and creativity – must have more special causes. Biology describes the behaviour of animals, not civilised human beings. But we are animals. Our genius is not God-given. Our brains, like our bodies, have evolved over hundreds of millions of years. They are the result of endless haphazard, trial-and-error, evolutionary experiments. From an evolutionary perspective, our ability to think is no different from our ability to digest, says Dennett. Both these biological activities can be explained by Darwin’s Theory of Natural Selection: the survival of the fittest. Descartes grossly underestimated machines. Alan Turing set him right. Computers in the 1960s were not very good at chess. Now they can play the saxophone like John Coltrane. In this digital age of supercomputers and smartphones, surely it isn’t so difficult to imagine how a machine made of a trillion moving parts might just be capable of being human. 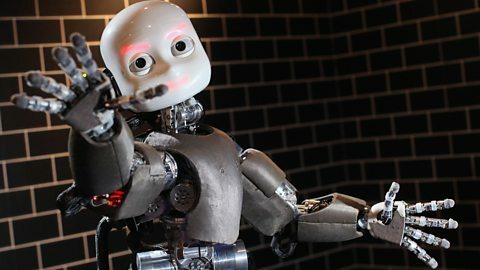 Philosopher Daniel Dennett tells Jim Al-Khalili why he thinks of our minds as machines. Can you trust your senses?